It is very frustrating to invest time and effort into a survey then get opted out mid-process or especially at the end of an interview. Please understand that each survey serves a specific purpose for each research company that we work with. For example, if an answer you provide is not consistent with the criteria related to qualification, then your survey data will be excluded from the final results and will not be saved. As a result, the survey will end. These sudden exits are not always based on your demographic information and can be based on a set of responses you provide during the survey. Some surveys will ask you the same question twice to make sure that you are paying attention. Conflicting answers will cause the survey to end. The best way to make sure this does not happen is to pay close to the surveys you are completing and being as honest as possible. How many surveys can I take per day? There is no limit on how many surveys you can participate in. In what cases will I NOT receive HoneyDollar$ for doing surveys? Register by providing false or misleading information. Provide false or misleading information in our surveys or profiles in an attempt to qualify. Demonstrate inattentive behavior such as speeding through a survey or entering information that is ineligible. Complete a survey more than one time. Forward your invitation to someone else, unless directed to do so. Complete a survey well under the average length of interview as recorded in our system. Post our survey links on the Internet or advise others on how to qualify. Register if you are under the age of 13 years old in the United States. Note: age restrictions vary by country. How can I earn more HoneyDollar$ by taking surveys? Completing “deeper profiles” helps HoneyDollar$ alert you only to surveys for which you qualify. These profiles also help us serve you with more targeted surveys which have significantly higher HoneyDollar$ payouts. Targeted E-mail Surveys: How do I locate these Surveys on my account? You can receive highly targeted surveys right to your e-mail address you have you on file with EarnHoney. Make sure to fill out your profiles to ensure you receive the best targeted survey opportunities. Why am I being prevented from participating in certain surveys? EarnHoney surveys are generally targeted to specific communities of individuals based on demographic data such as age, occupation, personal interest, etc. In most cases, we must solicit data prior to putting you into a “panel” to ensure that you meet all eligibility requirements. Please note that if you complete a pre-screener it is not a guarantee that you will be eligible to participate in the survey. On your survey user panel you will find a percentage likelihood that you qualify for participation based on the limited information we have about you. How long after taking a survey will I be awarded with HoneyDollar$? Immediately upon completing a survey, your account will be credited with “pending” HoneyDollar$. Your HoneyDollar$ will become active after we verify that you have participated fully and honestly with the questionnaire. In some cases, this can take several days to a couple of weeks. With whom does EarnHoney Surveys share my information? As a general rule, EarnHoney will not disclose any of your personally identifiable information except when we have your permission or under special circumstances, such as when we believe in good faith that the law requires it or under the circumstances described below. Please see the Terms of Service or User Agreements for each of our products and services for more detailed information about how your personal information may be shared. 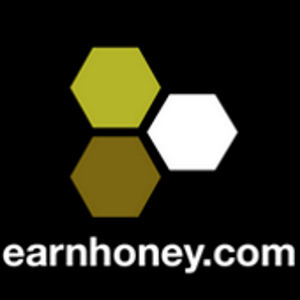 EarnHoney may also disclose account information in special cases when we have reason to believe that disclosing this information is necessary to identify, contact or bring legal action against someone who may be violating EarnHoney Terms of Service or may be causing injury to or interference with (either intentionally or unintentionally) EarnHoney rights or property, other EarnHoney users, or anyone else that could be harmed by such activities. EarnHoney may disclose or access account information when we believe in good faith that the law requires it and for administrative and other purposes that we deem necessary to maintain, service, and improve our products and services. Will I receive unsolicited emails as a result of my participation with EarnHoney Surveys? No. In some instances, you may be presented with a special offer which requires sharing some personal information (typically email address) with a 3rd party web site. These offers are always voluntary in nature, and will always be accompanied by an explanation of the manner in which your information may be used. What personally identifiable information does EarnHoney Surveys collect from me? EarnHoney Surveys requires some personal information, such as name, email address, zip codes, and other household information. The more information you volunteer (and the more accurate it is), the more rewarding and customizable your experience with EarnHoney Surveys will be. Can I update, correct, or delete my personally identifiable information? You may edit your EarnHoney.com account information at any time by logging in to your EarnHoney account and visiting the My Profile page. To update any of the basic information you provided us at registration, login to My Account and select the Profile tab. Once you’ve updated your information, click “Update” and we will apply your changes. Keeping your e-mail address up to date allows us to contact you at the most convenient location. Profiles are our way of creating the most relevant opportunities for our members. Telling us more about your experience and interests helps us send you surveys that you are more likely to qualify for, thereby increasing your chances of earning rewards. Please take a few minutes to fill out our profiles so you can begin participating in the most rewarding surveys! What if a survey encountered a technical error? We strive to ensure the best survey taking experience for our members, however there is always a chance that a technical error may occur. If your survey encounters an error, rest assured that our team will be investigating the issue with a focus on getting our members back up and running as soon as possible. How many HoneyDollar$ can I earn for participating in the EarnHoney Surveys? Each survey that you chose to engage with may have a different HoneyDollar$ payout. In general, the more targeted a survey is, the higher the payout. We will identify for each survey the amount of HoneyDollar$ that may be earned for completion of each given survey. This depends on the survey. The first part in many times is strictly for qualification purposes and will not result in a credit. Therefore, you will only receive the credit once you complete the second part of the survey. There are times in which there is a payout associated with the first part of the survey, however, in most cases you will only receive that credit once the second part is finished. “Location” means where you found the survey: Dashboard, Email, Inbox and coming soon – Peanut Labs! Are you earning all you can from Surveys? Filling out your profiles will help us deliver more targeted surveys to you. You can also update any of your profiles at any time. If you recently traveled to Ireland, make sure you update your profiles to reflect that. You never know, you might receive a survey all about Ireland. 2) Is your survey info correct? You can go in at any time and update your survey info. This is the information you filled out initially when you registered for Surveys. Things that you may want to update here: your work history, you job role, your pay, marital status, etc. If you recently moved and you need to change your zip code make sure you let us know by clicking the Contact Us button on the bottom of the page. 3) Are you qualifying for new surveys? Everyone knows that they need to be clicking on the targeted surveys on your dashboard, but are you also qualifying for new surveys? These surveys are different from the ones shown below this section. These surveys are not highly targeted but based on limited demographic knowledge, you may be qualified for. Last, but certainly not least, Targeted Surveys are the gateway to higher earnings. If don’t successfully complete a survey it doesn’t mean your walk away empty handed. Every survey that is Over-Quota or you are Disqualified from, you will receive 1 HoneyDollar$, up to 5 times a day. Why am I not being awarded HoneyDollar$ for a survey I participated in? If it is determined that you have only partially completed a survey, or that you have provided knowingly false information, you may be denied HoneyDollar$ for participating in a survey. EarnHoney.com collects valuable information that assists in developing new products and services. Personal information that you are asked to provide during EarnHoney surveys will not be shared with any other party unless specifically stated otherwise. If data is being collected and/or maintained by any company other than EarnHoney, you will be notified by the time of the data collection or transfer. If you do not want your data to be shared, you can choose not to allow the transfer by not using that particular service.